In June of 1980, Senator Paul Tsongas delivered his now-famous speech before the Americans for Democratic Action, warning that the liberal movement was in danger of being "reduced to an interesting topic for Ph.D.-writing historians," and calling for "a new liberalism." Four months later, when Tsongas’s prediction seemed to be coming true, he gave a long interview to then-Washington Post reporter Nicholas Lemann, who attempted to discover just what the "new liberalism" might entail. Near the end of the interview, in which Tsongas opposed public works jobs programs while supporting oil price decontrol and business tax cuts, Lemann said pointedly: "You’ve just come out for a whole series of ways to help big business. You have in the past come out for nuclear power. How can you still call yourself a liberal? What’s liberal about you?" "I consider myself a liberal on what would be termed social values," Tsongas responded. "On issues like abortion, women’s rights, gay rights, busing, affirmative action, that kind of thing. I’m opposed to capital punishment. I’m not the raw material of the Moral Majority." What a disappointing answer that was. Were these hoary "social values"— many of them almost "lifestyle" issues— really all that separated Tsongas’s "new liberals" from their Republican colleagues? Didn’t Tsongas have anything original to say about the fundamental issues of politics—who gets what, and how they get it, or how our nation should act in the world ? George Orwell had condemned the Socialists of his day as "fruit-juice drinkers" and "sandal wearers" who allowed their, fringe causes to detract from the basic economic battle. Tsongas seemed to be saying that the fringe issues were all there was left to fight about—a losing fight at that, given the prospects of riding into office on a wave of popular support for busing, affirmative action, and homosexuality. Tsongas has a better answer now, having written the first of what will surely be many self-conscious attempts over the next few years to "redefine liberalism." It is a serious piece of work. going well beyond the usual ghostwritten pap of senatorial volumes, and it avoids the easy flailing of the Reverend Falwell for sober, thoughtful chapters on meaty topics like energy, the economy, the Soviet threat, and the environment. As a neoliberal manifesto, Tsongas’s case for what he calls "compassionate realism" provides no ideological breakthroughs, nor do all of his chapters deliver much that is "new" at all. But Tsongas says enough that needs saying to make you thankful he made the effort. One might even be tempted to call this "a book that should be read by every concerned American," were it not so clearly the sort of book designed to be reviewed and discussed at parties rather than actually read. but if the holes evolve into squares over time, they will fit. . . . In 1980, some liberal round pegs no longer fit into the square realities of our world, and the conservative square pegs prevailed. I believe fervently that the transformation continues unabated. As we journey into the 1980s and 1990s, the need will be for oval pegs. . . . But there are rewards for perseverance. Tsongas’s perspective, as you would expect, is that of a politician rather than a pointy-head—which is fine, because it is on the political level where he is most heretical. His opening chapter describing his "road to reassessment" amply dramatizes the extent to which the telling academic attacks on the New Deal state—from the left in the 1960s, and the right in the 1970s— failed to penetrate down to the campaign level, where a sort of comic-book version of liberalism survived by concerning itself almost exclusively with the pacification of the various liberal "constituencies." IT SEEMS incredible, for example, that in 1979 it would still take an act of political courage for a liberal to oppose the more outrageous positions of American unions. (Remember On the Waterfront?) But it did take courage during the Chrysler bailout debate two years ago, when it became clear to Tsongas that the United Auto Workers might prefer to see Chrysler go under than accept the idea that wages might not march ever upward. Tsongas proposed forcing Chrysler workers to accept wage concessions (in exchange for stock options) as a condition of federal loan guarantees, and was greeted with shocked hostility by the U.A.W. and the Carter Administration (as well as the Chrysler Corporation itself). You’d think liberals would concede the possibility that some union members might have to lower their living standards if, say, they made cars so poorly that no one would buy them. In practice, liberal orthodoxy had come to require bleeding the average taxpayer to subsidize raises for a bankrupt comp a n y ‘s highly paid unproductive workers. The Chrysler debate "began the cutting of an umbilical cord," Tsongas says. Other epiphanies followed. 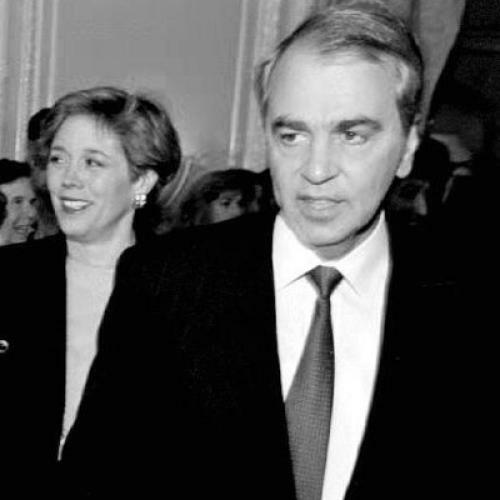 Tsongas provoked the automatic opposition of the environmental lobby when he concluded that, despite the safety risk, there was no alternative to continued reliance on nuclear power. He angered consumerists (whose liberalism had been reduced to opposition to anything that raised prices) by supporting Jimmy Carter’s attempts to impose a gasoline tax. Tsongas’s accounts of the degeneracy of conventional liberalism are telling—so telling that you wonder whether without the compelling distractions of Vietnam and Watergate the current "crisis" of liberalism wouldn’t have come 20 years earlier, in response to the "realities of the 60s," say, rather than the "realities of the 80s." Once past Tsongas’s account of his enlightenment, readers would do well to skip the next chapter, a lengthy analysis of our energy problems. Tsongas calls energy "The First Reality," in keeping with his overall argument that liberal "ideology" ignores eight "realities" that "we will have to face before the turn of the century." Unfortunately, most of Tsongas’s "reality" on the energy issue seems to have been gleaned from discredited Carter Energy Department briefing papers. Tsongas is thoroughly spooked by the fact that "oil is a finite, diminishing r e sour c e ." ("These six words tell us almost everything.") He quickly goes Carter one better and declares that, rather than the "moral equivalent" of war, "the energy crisis IS war." The near-hysterical discussion that follows underestimates the role of market prices in steering the "transition" away from oil, and totally ignores the growing evidence of abundant natural gas supplies. You will think better of Tsongas if you first read what he has to say about foreign policy and the economy. These chapters present, in Tsongas’s sincere, plodding fashion, many of what might be the building blocks of a genuine "new liberalism." Tsongas’s companion chapter on the "Third World" contains less that is fresh, although it easily ranks as the book’s most readable section because Tsongas, a former Peace Corps volunteer in Ethiopia, is able to use anecdotes and real-world examples instead of strained metaphors. Tsongas vigorously restates the traditional liberal faith that pursuit of "American values" is our best weapon against Soviet influence. Alas, the Senator soon slides into Carterism, praising as a "major theoretical breakthrough" Zbigniew Brzezinski’s "removal of the centrality of the East-West struggle from Third World considerations"—this just after Tsongas had convinced you that pursuit of principle was desirable, in part, as the way to win the "East-West struggle." You don’t really catch a solid glimpse of a New Liberalism worthy of capitalization until Tsongas’s "Third Reality," the economy. Tsongas calls for greater incentives to save and invest—who doesn’t?—but goes beyond stumping for refundable investment tax credits and tax-deferred I.R.A.’s to criticize the most basic attitudes of American business and labor. A modified "Japan, Inc." strategy—rapidly becoming the preferred Democratic counter to Reaganite free-marketing—underlies Tsongas’s approach. The American manager, Tsongas charges, "bound by immediate considerations of dividends and annual reports, and the likelihood that he will hold his current position for only a few years," is obsessed with short-term profits at the expense of long-term economic health. At the same time, American unions have been unconcerned about productivity, quality control, or absenteeism, a negligence Tsongas notes is reinforced by the realities of union politics. Since laid-off workers often don’t vote or even have the right to vote, "the focus [of union leaders] tends to be not on keeping the greatest number of people employed, but rather on keeping those who are employed happy." WHAT IS needed, Tsongas argues, is a "new unionism"—"tougher, leaner, more flexible, more innovative, concerned about efficiency and productivity and intolerant of featherbedding." He supports a broader labor role in management as a means of encouraging this shift in attitude. Meanwhile, correcting the short time-horizon of managers becomes the job of government—through a non-adversarial form of regulation, through government investment in research and education, through expenditures to shore decaying urban "infrastructures." Tsongas seems close to pay dirt here. His polemic resists the temptation of liberals to appease unions and Northeastern mayors, while avoiding the equivalent Reaganite appeasement of the Fortune 500. Instead, his diagnosis suggests a variety of major structural reforms that might be expected to appeal to the average American concerned about his country’s industrial malaise. At the same time, Tsongas (unlike, for example. Hart) manages to remain skeptical of some of the more questionable variations of the Japan, Inc., theme—such as the idea that a "post-industrial" America can somehow do without an industrial base altogether. The remainder of Tsongas’s book is less exciting. A thorough discussion of various environmental crises—carbon dioxide buildup, acid rain, nuclear wastes—demonstrates appropriate concern, but little by way of innovative solutions. (Sample: "Clearly, the CO2 issue must be raised in international forums and be a priority item of both scientific research and intergovernmental cooperation.") A quirky chapter on international trade argues eloquently for export subsidies, but reads as if large sections could have been drafted by a lobbyist from the Bechtel corporation. (Why, for example, must subsidization of exports take the form of a huge tax break for American employees overseas?) Inflation ("The Eighth Reality") comes last, to emphasize that it "is the effect of failure in other areas, not their cause"—a formulation that also allows Tsongas to avoid the sticky question of whether or not to have an incomes policy. MOST OF what Tsongas says surely deserves applause, however. He has freed his mind from the grip of the liberal and conservative "constituencies." He can condemn American managers, call for a reduction in unemployment compensation, or suggest abolishing consumer interest deductions without worrying about what the Busihess Roundtable, the A.F.L.-C.I.O, or the Consumer Federation of America might say. But if you come away from Tsongas’s book with a deep respect for his honesty and courage, I think you also leave vaguely unsatisfied. While Barney Frank, the liberal Massachusetts Congressman, was wildly wrong when he said that Tsongas’s "redefinition" is "all smoke and mirrors,” there is the sense that if Tsongas represents the liberalism of the 1980s we’re not in for a very exciting decade. It’s the same feeling I got interviewing Tsongas’s neoliberal rival, Senator Hart. In the cycle of political hype, this may seem the time to welcome these .political figures, overlooking their shortcomings in order to support their laudable enterprise. But it seems undeniable that the neoliberal movement so far has failed to live up to its advance billing. Part of the problem is the tendency of Democrats like Tsongas, Hart, and Daniel Patrick Moynihan to criticize the current Administration for cutting back on potentially useful programs—Energy Department programs to speed conservation or solar power, industrial revenue bonds, or university research grants, for example—without the questioning that one would expect from neoliberals about whether these programs currently work. Another part of the problem is the extent to which the Democratic senators seem trapped within traditional liberal sources of ideas and expertise, be they Geneva conferences on the "greenhouse effect" or Carter’s estimates of natural gas supplies. Some respectable Foggy Bottom type, for example, has convinced Tsongas that the "staggering" foreign debt of Poland poses an insoluble "dilemma" for the Russians, when in fact the staggering Comecon debt gives the Eastern bloc blackmail power over the Western banks—and economies—that will be caught holding the bag if the Communists default. What we need is less rhetoric and more common sense. Fewer pendulum swings and more steady courses. . . .There must be a broad-based intei’national program strongly urged upon all nations. . . . We should resolve to be relevant to the great issues. Tsongas’s final words are a stirring "Let the debate continue." But the largest problem, I think, has to do with some of the sentiments behind Tsongas’s words—in particular, the two workhorses of his vocabulary, "realism" and "compassion." Let’s start with realism. Having been led astray once by the ideologues of his own party, Tsongas clearly wants no more truck with their kind. As he puts it in his conclusion, "I have tried to show that there are certain realities facing America, and that they will prevail over dogma, whether of the liberal or conservative variety." In Tsongas’s world, reality is forever in conflict with idealism. His slogan is "forget slogans." Liberals simply ran into trouble when, inevitably, their "dogma" didn’t fit the "realities" of declining oil supplies, falling productivity, Soviet aggression, or double-digit inflation. The most important aspect of these "realities," for Tsongas, seems to be their intricacy. "[Tlhe realities are very complex," he says of the energy problem in a typical passage. "They won’t fit on a bumper sticker." Tsongas repeatedly contrasts these complex realities with the "ideological simplicities" of Reagan. His faith is that the "simplistic conservative notions that are insensitive to the realities of the 1980s and 1990s will falter," at which point the public will be ready for a more complicated pragmatism. THE UNDERLYING admission is that Tsongas’s neoliberalism cannot generate the sort of strong moral sentiments that might compete directly with Reaganism. "There’s no way what I’m saying can possibly win votes head-to-head with Republican simplicities," Tsongas told Lemann. "There will come a time when the Republican simplicities have been tried and found wanting. . . . [A]t that point you have something to sell. . . ."
I’m not so sure. Jimmy Carter already tried to win an election posing as the candidate of complexity, of tough choices. Did the voters reject him simply because he was incompetent and Reagan’s simplicities hadn’t been tried— or rather because they accurately perceived that a self-congratulatory pragmatism usually masks an inner moral confusion? To be sure, Tsongas has a point. Republican as well as Democratic ideology must adapt to the reality of acid rain crossing state and international boundaries. ("If a conservative is a liberal who just got mugged," Tsongas quips, "an activist is a conservative who just found out his drinking water is contaminated.") But Tsongas is so wary of ideological rigidity that he doesn’t recognize a stirring ideal when he sees one. For example, he praises schemes in which workers share in a firm’s management and profits—an idea he himself advanced during the Chrysler debate. Surely part of the appeal of the se schemes is the more democratic distribution of power, rewards—and risks— they promise. Tsongas sees only how his practical stock-ownership plan was opposed by the unions "in the name of ideology"—not that it might provide the germ of a new, more appealing ideology. Why not expand upon the rightness of the employee ownership idea, as well as the fact that it seems to work? Tsongas is capable of arguing that principle and pragmatism "coincide" when America confronts the third world. Why not when it confronts itself? "Ideology," after all, is not just simplistic rhetoric. It is our attempt to build a principled moral basis for our actions, in a way that will equip us to face not only the "realities" we know about, but the next set of problems that will come along—which is why lasting political movements are built around ideologies rather than realism. At some level Tsongas knows this, and he attempts to fill the void with frequent references to his sense of "compassion." TSONGAS is hardly the only 1981 liberal who, having conceded to the conservatives the general practical efficacy of the free market, has seized upon "compassion" as the quality that saves him from being David Stockman. Liberals like efficiency and productivity too, the argument goes, but they don’t like sweatshops, or toxic wastes, or schoolchildren going without hot lunches. "Free market forces softened by compassion" is how Tsongas sums up his economic philosophy. Tsongas argues that his liberal compassion works its effect within the "frame of reference for action" provided by his realism. The example he offers is oil price decontrol, which he sees as a necessary adjustment to reality. But while he "must accept the reality of decontrol," Tsongas writes, "the liberal must argue for shock absorbers to cushion the impact on low- and middle-income citizens." Conservatives decontrol; liberals decontrol and send checks. Tsongas accepts the basic inequality generated by the marketplace (the existence of "low and middle-income citizens"), but then for a vaguely articulated reason somehow decides to "cushion" the mark an ideology, because Tsongas provides no principled connection between his abstract compassionate impulses and the specific actions he favors. There are other, deeper problems with installing "compassion" as the talismanic liberal virtue. "Compassion" carries a disturbing implication of charity, of dependence on the part of those on the receiving end of the sentiment. Conservatives (and radicals) have a point when they stress that liberal welfare programs sap human dignity; making "compassion" the guiding principle of those programs maximizes the force of the antipaternalist argument. And compassion, as a form of altruism, has built in limits. If citizens believe that the welfare state is a sort of institutionalized charity drive, they will naturally cut it back when they feel they have nothing left over to donate—as Tsongas himself acknowledges. ("Liberalism, the vehicle that carries generosity and compassion into the public arena, needs a healthy economy. . . . If the economy is expanding, we can open our hearts to the aspirations of others. . . .") Finally, the parading of "generosity and compassion" carries a pretension to moral superiority no less palpable in the typical liberal defense of the school lunch program than at one of Nancy Reagan’s charity balls. When I was a college student in the 1960s, the campus radicals told us we should make a revolution out of self-interest, not altruism. Reading Tsongas, I could see what they meant. A lasting neoliberal movement, like a revolution, is more likely to arise out of self-concern. Instead of wearing their compassion on their sleeves, let the neoliberals defend school lunch programs because they don’t want to take the chance that their children will go hungry; let them care for the aged because they will be aged themselves; let them support job programs because they don’t want to take the risk of being without a job, because they don’t want to be robbed by an unemployed teenager, because a full employment economy will enable them to live better. At the very least, let them support liberal government because they have a clear vision of the sort of society that they would like to live in. Reagan has such a vision, however flawed, in the Norman Rockwell view of an enterprising, generous businessmen’s society. Tsongas offers nothing comparably compelling. In his abstract, guileless fashion, he says simply that "the trick is to keep the reins loose enough to allow people’s strivings to better their lot, but to have the reins prepared to pull back if that advancement comes at the cost of someone’s undue exploitation." To take their politics out of the vague realm of charitable urges, neoliberals would seem desperately to need some explicit concept of "just deserts" to tell them when "exploitation" is "undue exploitation"—and to compete with the Republican "it’s mine" morality. Maybe that doctrine would take off from a principle of democratic, universal material rights; maybe it would have a slogan like "equal pay for equal effort." It might simply attempt to undo the perversity of a market that pays high salaries for the nicest jobs—attacking credential-conscious job hierarchies themselves rather than the distribution of wealth they produce. Whatever the formulation, it’s bound to be more inspiring than Tsongas’s balancing of "incentives" and "compassion" at "acceptable levels relative to one another." What else might a full-blown neoliberal ideology include? This is certainly not an easy question—but once we decide, unlike Tsongas, that it’s the important one, there seem some obvious places to start. The logical counterpoint to the conservative celebration of the market, for example, is the celebration of the communal side of government enterprise, which our President would reserve almost exclusively for war and the preparation for war—and which Tsongas reserves for his "war" of "transition" from fossil fuels. But other Democrats, such as Moynihan, have shown a willingness to seize upon the virtues of government activism with a Rooseveltian fervor that is missing from Tsongas’s pragmatic complexities. The point is not simply that collective action can correct defects in the market—curing "short time horizons," purchasing "collective goods," or compensating for "social costs" or "externalities" that economists tell us the market doesn’t take into account. In bur nation, government activism also has appeal precisely because it would carve out a sphere of life where the principles of the marketplace do not govern, but are replaced by the principle of equality of citizenship, and by the nonmaterial "goods" of free expression and democratic self-governance. The same democratic virtues might be extended to the private, market sector, through the schemes of worker ownership and self-management that Tsongas himself suggests. This is the best idea left on the left. The more ambitious versions of these plans might significantly alter the distribution of income at its source—at the "means of production," if you will—instead of through discrete post hoc adjustments like food subsidies, progressive tax cuts, or energy "impact" checks. Even in the public sector, there seems to be room to apply a democratic ideology with considerably more vigor. Tsongas complains repeatedly about the "unresponsive bureaucracy" that gives liberal activism a bad name. But he regards the current combination of official sloth, self-service, and perversity as inevitable, resigning himself to a zero-sum dialectic of free-market excess and bureaucratic overreaction— what he calls " the unending cycle of abuse-anger-laws-regulations-bureaucracy." Why isn’t the antidote to "unresponsive bureaucracy" also democracy? If the regulators overreact, maybe that is because so many of them are "independent" tenured officials like Paul Volcker, unaccountable to the voters except by the most indirect mechanisms conceivable. If the bureaucracy is inefficient, maybe that is partly because 99 percent of our bureaucrats are civil servants, practically unfirable, who have little stake in the success of the party in power. This state of affairs is not inevitable. It is itself an overreaction to the perceived abuses of partisan government, fueled by the traditional Progressive faith in "neutral" expertise. By restoring a modicum of patronage hiring, we might give more bureaucrats a political incentive to make their organization work that parallels the economic incentives that prevail in the marketplace. Giving elected politicians clear authority over regulations would make them clearly accountable to the voters for any self-aggrandizing "overreaction" (or underreaction). Re-democratizing the government could be a great neoliberal crusade ("democracy" will even fit on a bumper sticker), but it is one that the current crop of neoliberals, who seem to share the old faith in expertise, shows no interest in undertaking. But politicians who, like the new liberals, claim to support government activism while deploring the government seem obliged to advocate some systemic reform. Just as a recognition of warring class interests in the marketplace informed traditional left activism, so a recognition of warring interests within the state should inform neoliberalism. No one knows better than Senator Hart, for example, how huge defense expenditures on disastrous weapons can be the product not of mere misjudgment but of the concrete interservice rivalries built into the Pentagon’s absurd institutional structure. Why not make a unified military command a plank in the neoliberal platform? Additional initiatives might attack other obvious institutional defects— weakening or eliminating the congressional committee system, for example, to break the power of special interest "iron triangles" over the public fisc. No one said neoliberals had to be moderates. Finally, neoliberals might make a few appropriate concessions to conservative morality. Defense (where, as Hart points out, liberals have traditionally insisted that "less is better") and crime are two obvious areas ripe for apostasy. Another might be welfare. The current debate over income maintenance tends to be between moralists and technocrats, with the liberals on the side of the technocrats. The anti-welfare moralists like Reagan and Jesse Helms, for all their lack of "compassion," are spokesmen for a powerful, stern ethic: people should not be paid by the taxpayers if they could work for a living. The traditional liberal response has been either a flabby reference to the need for generosity, or a retreat behind the "complex realities" of the problem: that most welfare recipients are unable to work, that ferreting out those who are able would just take more bureaucracy. Thus, even those Democrats—like Hart and former Health, Education and Welfare Secretary Joseph Califano—who support sweeping reform of the welfare system tend to endorse some guaranteed annual income scheme that would send out checks, no questions asked, while relying on a work-incentive formula to discourage freeloading. Instead, why not admit that the conservative moralists have a point, renounce the guaranteed income approach—but use the conservative work ethic as the basis for an ambitious and useful public works program that fulfills the traditional liberal goal of a guaranteed job? Indeed, once a guaranteed job program for the able and a welfare system for the disabled was in place— and once existing rigid job hierarchies had been compressed through competing worker-management schemes— neoliberals might even be able to stop fretting about the resulting distribution of income, avoiding the urge to create piecemeal redistributionist programs. In the end, Tsongas has not "redefined" liberal ideology so much as abandoned ideology altogether, replacing it with a bland futurism. He seeks to anticipate and manage the "realities of the 1980s" more skillfully and humanely than the Republicans. But if all we can expect from the left is better crisis management ("with cost-benefit and risk-benefit analyses doggedly applied") then not only liberalism but politics itself begins to look less and less important. "The greatest danger to the Democrats," Tsongas told Lemann at the very end of his interview, "is a rational Ronald Reagan. . . . If Ronald Reagan turned out to be capable of stripping away his ideology he could be the new F.D.R., because it would work and there would be no reason to turn to the Democrats." Those who read The Road From Here will not miss the disturbing implication: that, for all of Tsongas’s courage and "compassion," there would not be much difference between a rational Ronald Reagan and the Democrats as Tsongas would remake them. Robert M. Kaus is a senior editor of the American Lawyer magazine and a contributing editor of the Washington Monthly. This article appeared in the November 25, 1981, issue of the magazine.